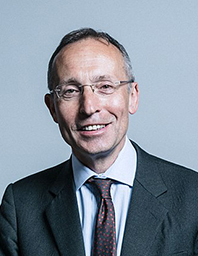 Andy Slaughter is a British Labour Party politician and has been the Member of Parliament for Hammersmith since 2010. He had previously been MP for Ealing, Acton and Shepherd’s Bush from 2005 to 2010 and before that, Leader of the London Borough of Hammersmith and Fulham Council. He is currently a Shadow Minister for Housing and Shadow Minister for London, serving on the Labour Party’s frontbench. In the 1980s Andy had a number of jobs working in the voluntary, public and private sectors. Andy worked for the British Safety Council in libraries around the borough and at Fulham Town Hall. He then worked for commercial PR firms before moving on to research, first for the BBC and then in Parliament. In his early thirties he studied Law, qualifying as a barrister in 1993. He is a governor of William Morris Sixth Form in Barons Court, a school which he helped to establish in 1994. Andy has been Vice Chair of the Parliamentary Labour Party London Regional Group since 2007. In October 2010, Andy was invited to join the Labour frontbench as Shadow Justice Minister and served as the lead shadow minister opposing the Legal Aid, Sentencing and Punishment of Offenders Act 2012. In 2016, Andy was invited to join Labour’s Front Bench as a Shadow Minister for London and Shadow Minister for London.